Jenna Voss is a Director at FRA and has extensive experience in conducting forensic consulting assignments across multiple industries. She leads teams in conducting investigations into complex accounting topics, performing anti-bribery and corruption compliance reviews and investigations, and providing accounting expertise on litigation matters. 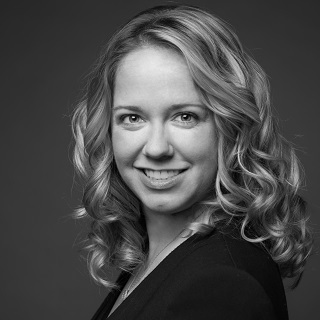 Prior to joining FRA, Jenna was a Director at AlixPartners where she managed high-profile, international investigative, monitorship, and compliance engagements on a range of topics, including anti-bribery and corruption and anti-money laundering. Jenna also has experience performing accounting due diligence, building complex financial models, and advising financially troubled companies in bankruptcy and restructuring situations. Jenna has a Masters in Accountancy from the University of Iowa and a Masters in Business Administration from Duke University. She is a Certified Public Accountant, Certified Fraud Examiner, Certified Anti-Money Laundering Specialist and Certified in Financial Forensics. 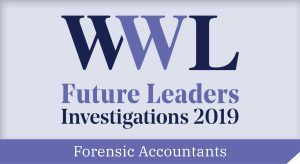 Jenna is recognized in Who’s Who Legal: Investigations – Future Leaders 2019 who say: sources speak highly of Jenna, commenting on her amazing ability to triage situations and rapidly adapt to changing circumstances. Jenna is based in FRA’s New York office.